Anytime you buy or lease a new vehicle, you’ll hear a lot about the depreciation value. This is simply the amount the auto loses in value after the sale and over the next few years. If you plan to buy or lease a new vehicle, it’s important to understand how and why they depreciate because it will help you make better buying decisions. It’s also a good thing to know when buying used vehicles because it will help ensure that you’re paying a fair price for your purchase. When you buy or lease a new vehicle, it begins losing value as soon as you drive it off the lot. The only exception to this rule is when you buy a classic or very rare vehicle because these are collector items that few people have. It’s also important to know that some vehicles depreciate less than others do. Therefore, it’s a good idea to do your research before you shop for a new car to learn more about the depreciation value of the particular model you’re interested in buying. At first, it can be a bit depressing knowing that you’ll be making payments on a vehicle that is decreasing in value the whole time you’re paying for it. However, this is one of those things that you have to accept and when you understand why it makes it a little easier. The hardest part is knowing that as soon as you drive off the lot with the vehicle it immediately loses value but there are two reasons this happens. First, it has to do with the difference between the wholesale and retail value of the vehicle. When you buy a vehicle, you’re paying the retail price, which is the amount the dealership marked it up in order to make a profit. Once sold, it automatically drops in value back to the wholesale price. The second reason is simply because this is when you begin putting miles on it. Driving a vehicle puts a strain on the engine and other mechanical parts and it’s the wear and tear of the vehicle that causes it to depreciate. As the car ages, it becomes less dependable and therefore, the value decreases but don’t let this discourage you from buying or leasing a new vehicle. 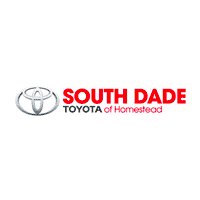 Here at South Dade Toyota, we offer some excellent deals for consumers looking to buy a new vehicle and we also have a variety of Toyota lease offers and specials that help dealing with auto depreciation a little easier. The depreciation value is different for all vehicles but there is a general guideline you can use that will give you an idea of what to expect. On average, a vehicle will lose approximately 10 to 12 percent of its value as soon as you leave the dealership. It will then depreciate around an additional 15 to 20 percent each year for the first 5 years. On average, a year after buying your new vehicle it will be worth about 70 to 75 percent less than it was worth the day you bought it. While you cannot prevent a car from depreciating, you can maintain a good resale value by taking good care of your vehicle. Schedule regular maintenance checks, keep the interior clean and in good shape and park your vehicle in a garage or carport to keep it out of the weather. Taking care of your vehicle will help it retain much of its resale value.